AKIPRESS.COM - At least eight people have been killed in an explosion at a munitions plant near Cape Town in South Africa, Sky News reports. 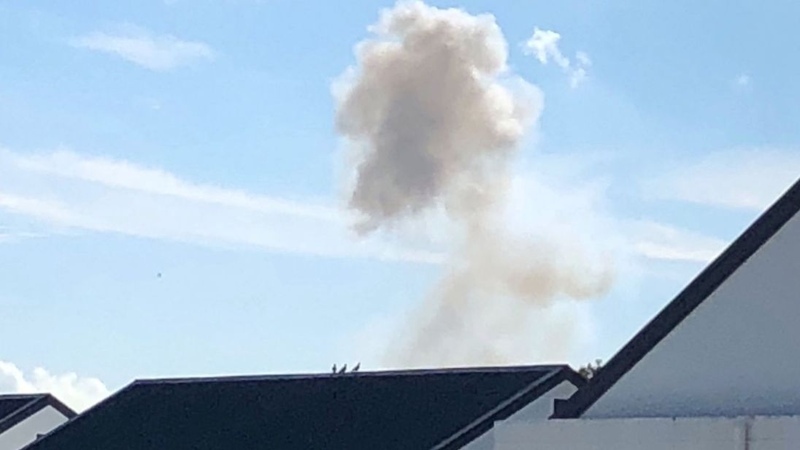 The blast happened at the Rheinmetall-Denel plant in Somerset West at around 3.45pm local time, with locals saying the force had shaken houses and rattled windows. "Eight persons were confirmed as fatalities and the fire department is assisting the search and rescue operations," said JP Smith, Cape Town council's safety chief. Theo Layne, a fire and rescue spokesman, said the cause of the explosion was not yet known and that three fire engines were called to the scene and had contained a fire. The company's website says the plant's output includes artillery, infantry and mortar ammunition, missile subsystems and "minefield breaching systems". It makes ammunition mainly for NATO countries in Asia, the Middle East, South America and Africa.